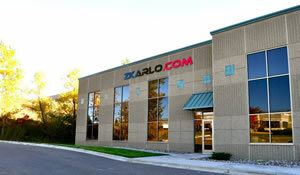 Founded in 2005, ZKarlo inc. is an online electronics retailer focused largely on parts for laptop and notebook computers and is located in Minnesota in the City of Burnsville. We will also do repairs on laptops upon request. We made our start as an Ebay store and continue to sell electronics through our Ebay store which can be visited by Clicking Here. Featured parts include motherboards, LCD screens, keyboard, drives and batteries, as well as data cables and adapters. To get started, simply click on the brand of laptop you have, or search for your model in the search box above. Burnsville, MN-based ZKarlo inc. is proud to serve the greater Twin Cities region of Minnesota for all its laptop parts needs! For local customers, walk-ins are welcome 9am-5pm Monday-Friday.